Santa Barbara Mexican Bush Sage (s. leucantha "santa barbara") PP#12,949. Smaller compact version of Mexican Bush Sage. Makes an excellent container plant as it only grows to about 24" tall. 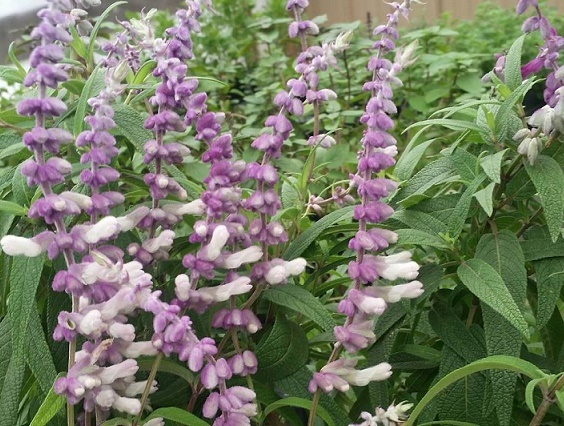 Same Fuzzy purple and white flower spikes as regular Mexican Bush Sage. Attracts butterflies and other pollinators. Blooms best in Sun. Perennial zones 7-10. One live starter plant in 2.5 inch container.